Inherently versatile, Curtainsider® systems are ideally suited for use with various cargoes and can be fitted with different features, such as truck-mounted forklifts and hydraulic lift gates. 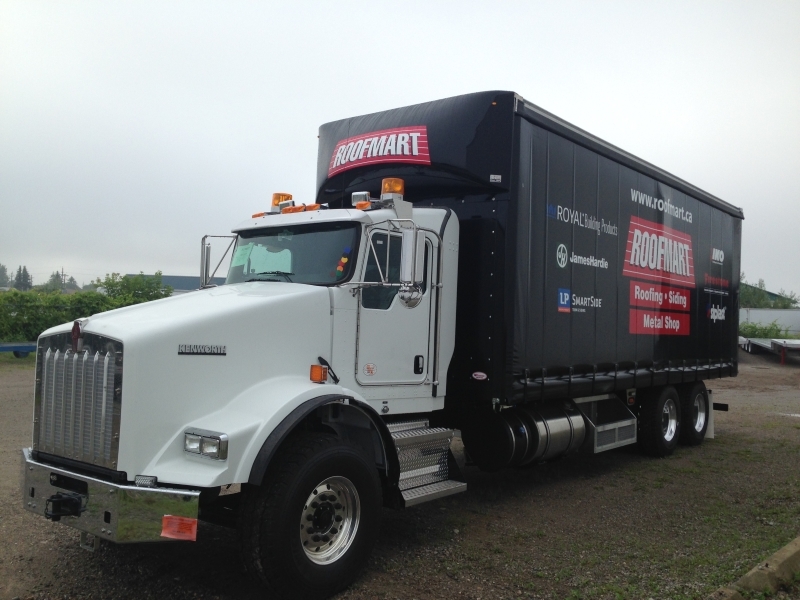 Our systems for straight trucks and trailers provide the simplest and most reliable side access for bulky loads. 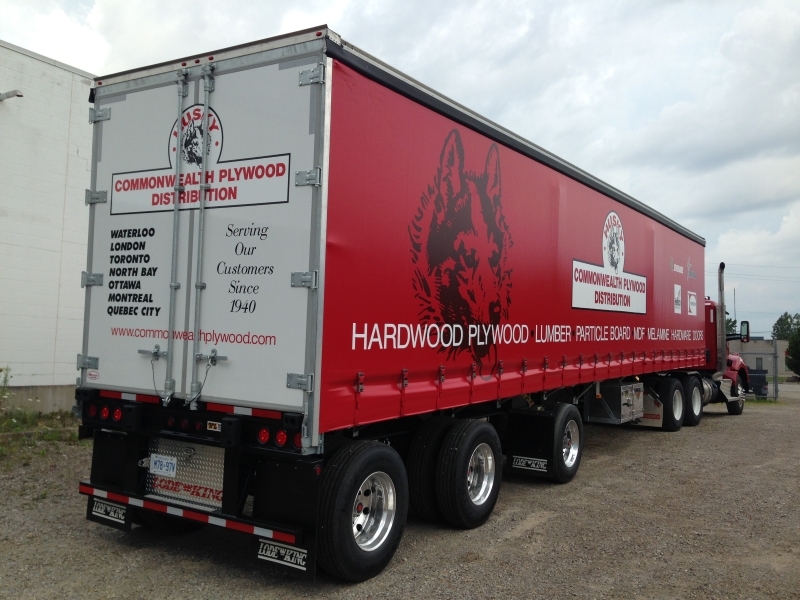 Curtainsider® systems are ideally suited for multiple-point drop loads and mixed-return loads. The strength and longevity of the Curtainsider® design is unrivalled by other systems. No lube of track required because rollers are shielded and maintenance free. Curtains made from high quality 28 oz. 2x2 weave, coated PVC with a choice of over 20 colours. Rolling pillar is adjustable to allow for a 102" wide load when required. We take pride in fit and finish! Ability to meet unique design requirements. Pelmet (roof to curtain seal) is cold rated for -70°C (-94°F) and will not crack from the cold. Curtain poles can be easily and quickly changed, compared to the heavy, steel pole with 10-15 rivets. Quick release tensioner that has a handle that tucks in and will not catch (no knob style). 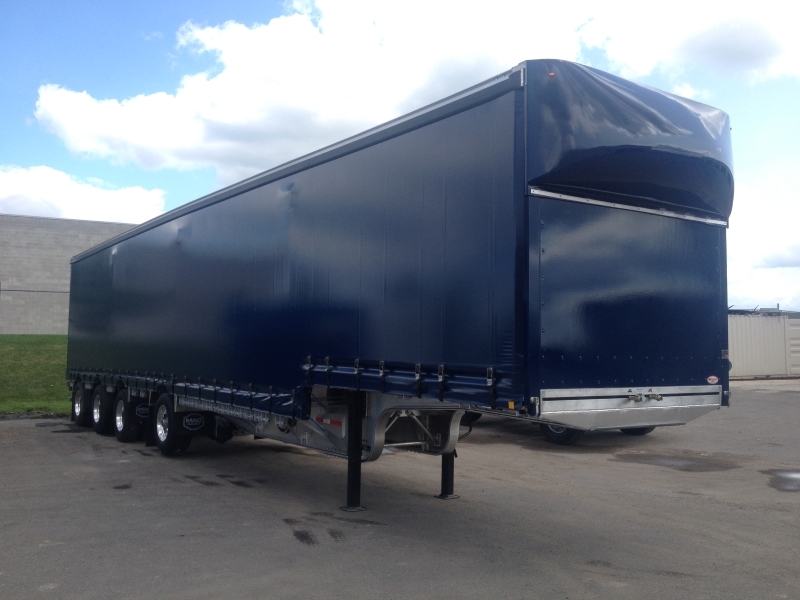 Any part of the trailer can be accessed individually without exposing other parts to the weather. Labour-intensive tarping is gone, and so is the expense. Driver stays on the ground because the curtainsider system is fully operational from ground height. 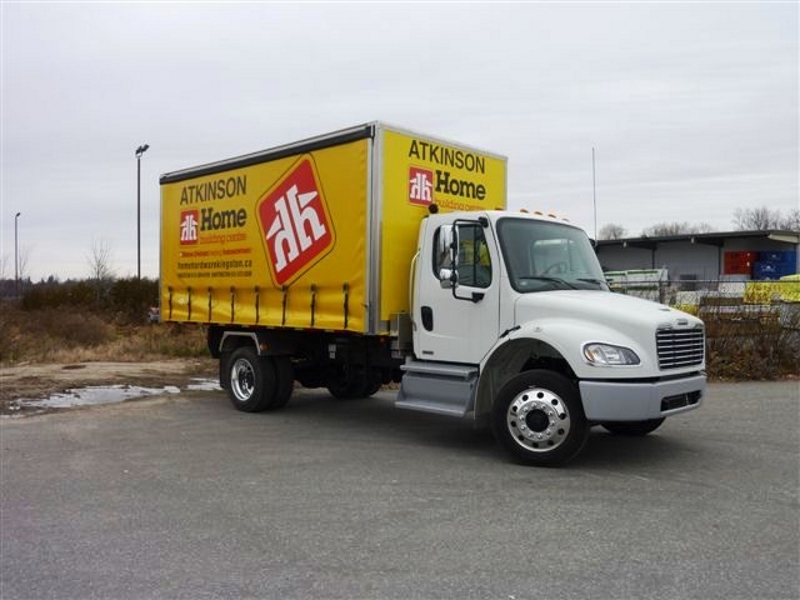 Fully accessible unobstructed rear and side loading. When unloading, only the portion containing the customers load needs to be opened. 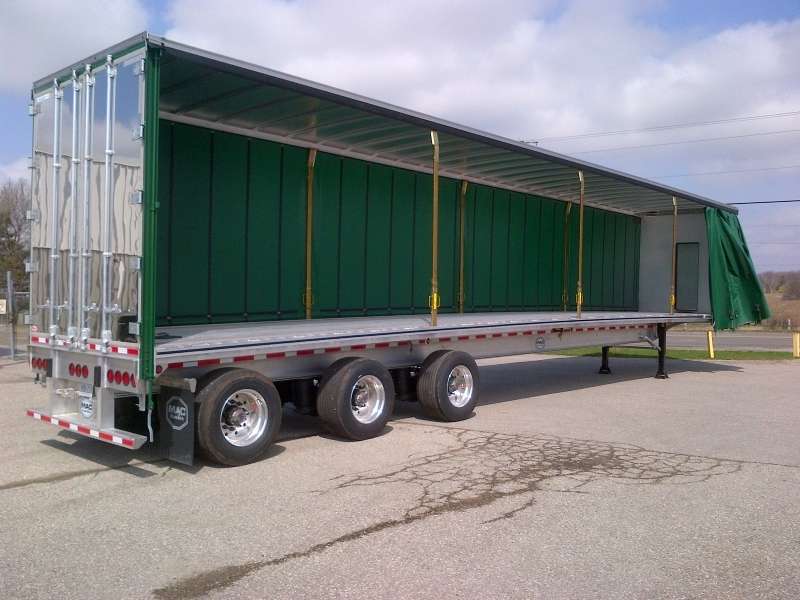 Example: If a load is located on the front right of a Curtainsider®, only the front right will be exposed. On a rolling bow system both front sides and top would be exposed posing a potential risk to the other items on the trailer. 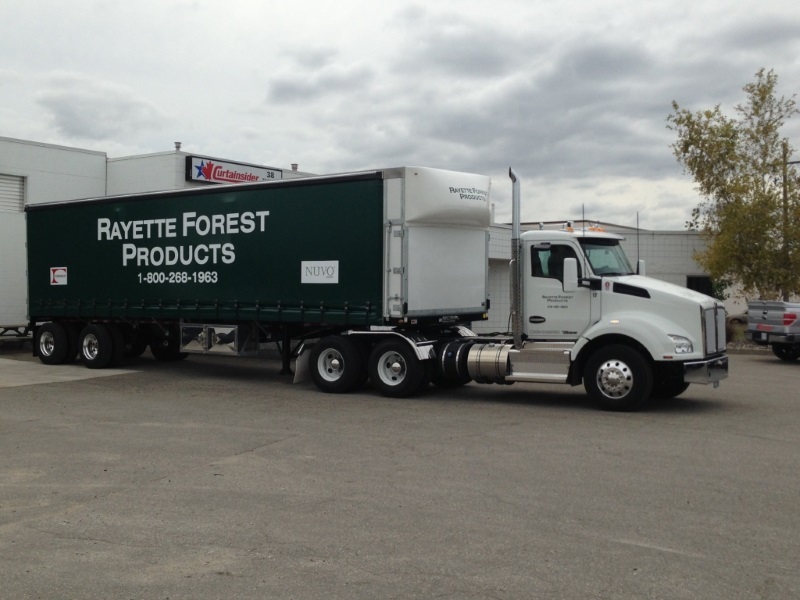 We offer servicing, repairs, or upgrades for all Curtainsider® systems. We stock thousands of Curtainsider® parts.